Congratulations Netherlands for winning the Women’s Hockey World Cup! Netherlands were crowned the winners for a record eighth time after a crushing 6-0 victory over Ireland’s fairytale tournament. Read more about it here from BBC. Up next, the Women’s Hockey Champions Trophy starting this 17th of November, 2018 and the Men’s Hockey World Cup starting on the 28th of November, 2018. Well done to the teams that bested their opponents in the Quarterfinals! We’re now down to the best four teams for the Semifinals. On 4th August, we’ll have Netherlands v. Australia @ 14:00GMT and Ireland v. Spain @ 16:30GMT. Stream it live for free via FIH’s YouTube Channel. Well done to the teams that bested their opponents in the Playoffs! We’re now headed for the Quarterfinals against the top seeds. On 1st August, we’ll have Germany v. Spain @ 18:00GMT and Australia v. Argentina @ 20:15GMT. Then on the next day, Ireland v. India @ 18:00GMT and Netherlands v. England @ 20:15GMT. The Playoffs will play on 30th and 31st July for another chance to reach the Quarter-finals. First up, We’ll have Argentina v. New Zealand @18:00GMT and Belgium v. Spain @20:15GMT. On the next day, Italy v. India @18:00GMT and England v. South Korea @20:15GMT. The puck is about to drop in England for one of the most prestigious women’s hockey tournament in the world. The 2018 Women’s Hockey World Cup will be played at the Lee Valley Hockey and Tennis Centre, London with 36 games competed by the 16 best nations in field hockey. Scheduled from 21 July to 5 August, 2018, Argentina, Australia, Belgium, China, England, Germany, India, Ireland, Italy, Japan, Netherlands, New Zealand, South Africa, South Korea, Spain, and the United States will go head up against each other for a chance to be crowned world champions this year. The providers in this list have been tested to work with our VPN. 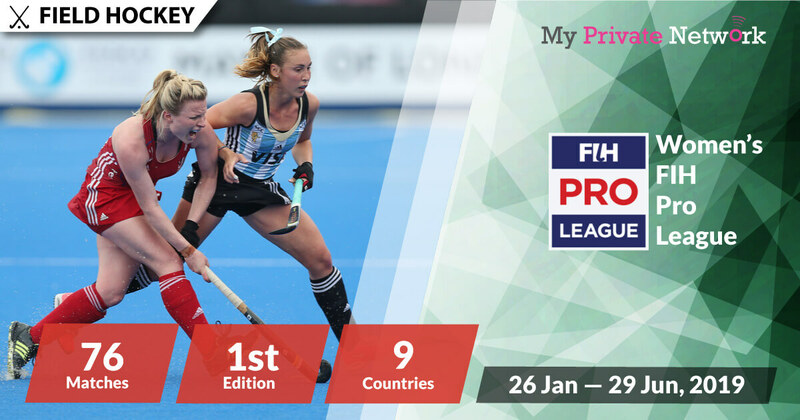 Click here for the full list of official FIH Women’s Hockey World Cup broadcasters. Live Stream starting on 21 July (Saturday) at 11:00GMT. Note: (Q) Advance to a Quarter-finals; (P) Advance to a Playoffs; (E) Eliminated; (H) Host. 2) Install our VPN on any device that you’ll be using to watch the 2018 Women’s Hockey World Cup. 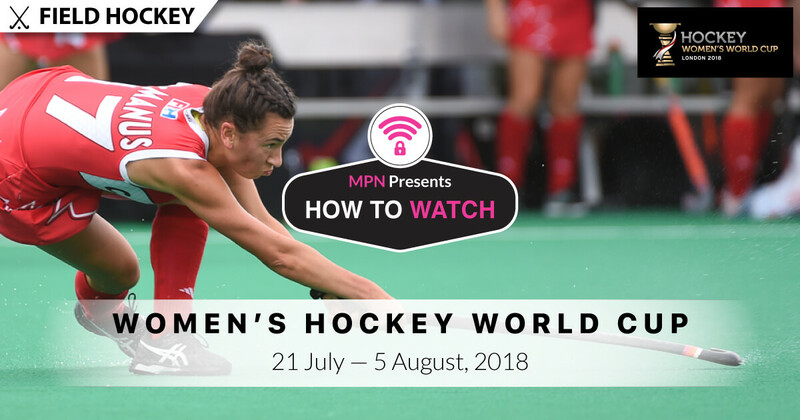 Tip: Women’s Hockey World Cup will be airing live from 21 July 2018. Be sure to use the free Youtube restriction checker to see if it’s available in your country first. Access Free YouTube Stream via FIH for Group Stage here. Access Free YouTube Stream via FIH for Knockout Stage here. Tip: Women’s Hockey World Cup will be airing live from 21 July 2018 on BT Sport 1. Access BT Sport 1 here. Access BT Sport 2 here. 1) Sign in to your ESPN Deportes account. Tip: Women’s Hockey World Cup will be airing live from 21 July 2018 on WatchESPN. Tip: Women’s Hockey World Cup will be airing live from 21 July 2018 on Fox Sports. Watch all live games from HotStar for free. Availability: India only – Connect to our India (IND) servers first before starting the stream! Tip: Women’s Hockey World Cup will be airing live from 21 July 2018 on HotStar Hockey. You will see the live stream link available when the game is on. Tip: Women’s Hockey World Cup will be airing live from 21 July 2018 on Sky Sport 1 and Sky Sport 4. Sky Sport’s Women’s Hockey World Cup Broadcast News. Access Sky Sport 1 here. Access Sky Sport 4 here. Tip: Women’s Hockey World Cup will be airing live from 21 July 2018 on SS6, SS7, SS8. Tip: Women’s Hockey World Cup will be airing live from 21 July 2018 on Eurosport 1. We hope you found this article informative and useful. Please feel free to share it with your friends or family that want to watch the Women’s Hockey World Cup too!